With many compelling benefits, as well as some real drawbacks, induction cooktops are an intriguing alternative to the traditional gas or electric range. Picture this: You put a large pot of water on the stove and within only a few minutes, the water has rolled to a boil. That’s the magic of an induction cooktop. Compared with conventional gas and electric ranges, induction cooktops boast enhanced, even revolutionary, speed. But it’s not just about power; induction cooktops also offer a high level of precision. In other words, there’s no delay when you turn the dial up or down; the technology responds immediately to your adjustment and holds, without deviation, the desired temperature. Though induction cooking has existed for decades, it’s really started to gain traction in the last few years, having become a viable alternative to the conventional heating appliances we all grew up with. Even so, induction cooktops account for less than 10 percent of the market in the United States, and a great deal of confusion remains as to how the technology works and what it offers the home cook. Unlike any range you’re likely to have used before, an induction cooktop does not give off heat. Rather, its burners are essentially electromagnets that transfer energy to the cookware. That energy, in turn, causes the cookware—and the food within it—to heat. So even when a pot of water is boiling vigorously, the cooktop itself stays relatively cool. If it warms at all, it’s only because the hot pot has sat right over the induction cooktop surface for a prolonged period of time. Induction cooking is fast, responsive, and precise, and for these reasons many professional cooks have adopted the technology. But even for the average homeowner, there are at least a few benefits to consider beyond the bounds of meal preparation. For instance, because there are no hot surfaces (except those directly under active pots and pans), induction cooktops are a safe option in homes with children. As well, the smooth glass-ceramic surface of an induction cooktop is very easy to clean, with no grates, drip pans, or awkward gaps to collect crumbs or splatters. And because the cooktop does not get hot, spills do not burn and become caked on—they come right off, with no need for scrubbing. According to the Department of Energy, a conventional electric or gas stove fails to transfer about 60 percent of the energy it consumes. Induction cooktops are nearly twice as efficient. While it’s certainly true that—compared with, say, heating and cooling—cooking accounts for only a small amount of the energy used in the average home, many like the fact that induction cooktops save energy by cooking faster and that they waste a minimum of energy in the process of doing so. Induction cooking takes some getting used to, and some cooking methods simply may not translate. Any technique that requires an open flame—grilling, for example, or even toasting—is not possible with induction cooking. There’s also the possibility that you would need to replace some or even all of your nonmagnetic cookware. Cast iron, enamel, and stainless steel are often suitable, but copper, glass, ceramic, and aluminum are not. 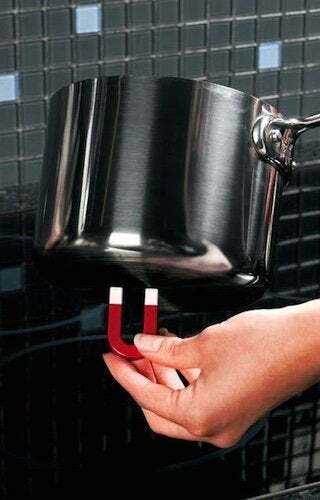 When in doubt, touch a magnet to the bottom of the pot or pan in question. If it sticks, then you’re in business. If not, the cookware unfortunately won’t work. 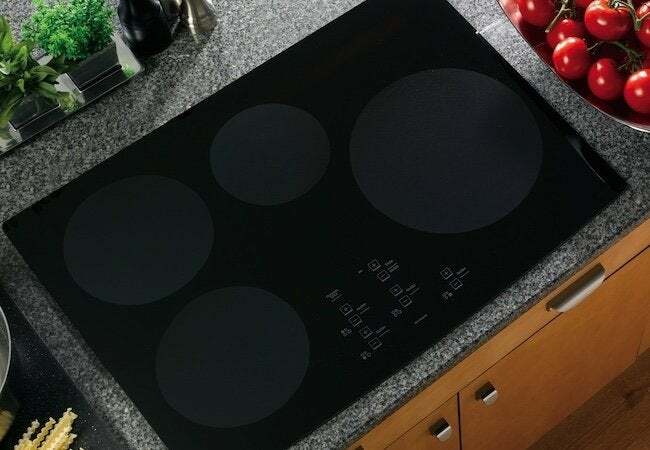 One final drawback: Although induction cooktops have recently come down in price, they can still be pretty expensive (though budget options are out there). Then again, for those entranced by the magic of induction cooking, cost may be secondary to the many performance and lifestyle benefits.